The global shale energy trend can boost world GDP by up to $2.7 trillion by 2035, according to a Price Waterhouse Coopers report. This would see oil prices drop by a third. However not everyone would benefit from such a trend. 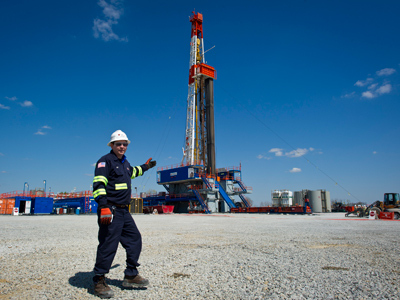 The company has reviewed the long term impact of rapidly emerging shale energy production on the global energy sector and the economy and concluded global GDP can benefit from the emerging trend around 2.3-3.7% and reach $1.7-$2.7 trillion at current GDP values. The analysis suggests that global shale oil production can potentially reach up to 14 million barrels of oil per day by year 2035 which amounts to 12% of the world’s total oil supply. This will have a strong impact on oil prices and see them reduced by 25-40% if applied to the current forecast from the Energy Information Administration -official energy statistics from the US government, which predicts the price reaching $133 per barrel in 2035. The EIA estimations, however, do not credit shale energy production potential, when calculating the future oil price. Lower than expected oil prices could mean long-term benefits for some but cause serious economic problems for others. Businesses, that largely use oil products as inputs, fall in the first group, while energy-dependent economies, such as Russia and the Middle East states, will need to review their economic models. The trade balances of the latter may worsen by 4-10% of GDP in the long run if they fail to develop their own shale resources, the report says. Traditional energy-dependent countries may face difficulties adjusting to an emerging trend due to a number of reasons. "Extent of resources, recoverability and refinery technologies are very unevenly distributed, expensive and time consuming to generate. Legal structures, alternative energy investments and prospects will be hugely important factors. Global shifts in energy prices, carbon based and alternative, will be powerfully influencing here. Shale resources do not solve any of the climate change or political issues presented by traditional technologies. In many cases these issues may become more severe," Max Fraad Wolff, Economist and Political Professor at the New School University based in New York, told RT Business. Economic risks should also be carefuly assessed, as new extraction technologies create unknown ecological and resource curse issues. 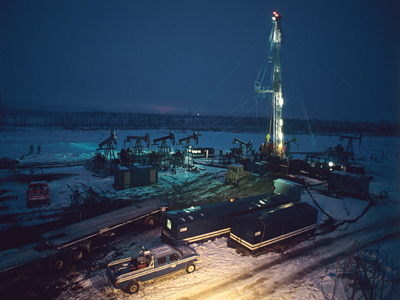 However the potential of shale energy production should not be underestimated. Over the next few decades it can revolutionize global energy markets, providing greater long-term energy security at a lower cost for many countries, if spread globally. It also presents a new discoverable and recoverable universe of carbon energy, Wolff believes. "This also offers to transform the geographic and political distribution of resources of both oil and gas deposits. We should factor that discovery, extraction and delivery costs vary and tend to be larger because we don't have a transport, refinery or storage infrastructure built up around shale resources," Wolff said. Geopolitical accents will be shifted with major strategic opportunities and challenges in store for the oil and gas industry. 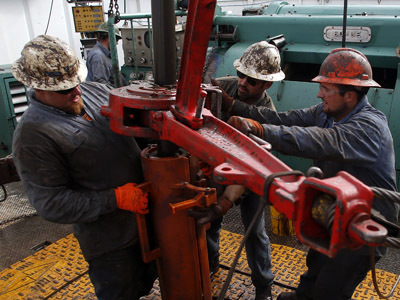 "We are already seeing the US transition from importer toward exporter as shale resources come online. We have seen recovery technologies transform local natural gas markets and alter patterns of economically recoverable reserves. We will see a decline, in some cases, of traditional technology dedicated reserve dominant nations. However, deposits, technologies and recoverability vary widely and are expensive and environmentally and politically sensitive in many areas," Wolff explains. With all the benefits of the shale energy production, environmental concerns are still high and attract much controversy. 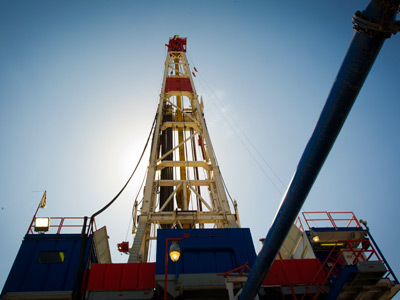 Environmentalists argue the process is highly ecologically unfriendly – shale gas and oil could lead to greenhouse gas emissions that will far surpass the ability to address the climate changes they will cause. Wolff agrees, this will be an increasingly intense and central political issue across the world. So could switching to cheaper shale gas, while also investing in environmental-protection measures, eventually amount to the same costs with traditional sources of energy? "This is not clear, lowering the prices and increasing the production of carbon resources has contributed to a violent, rapid reduction in revenues and economics for alternative energy companies in some geographies. This is ultimately and as much a political and environmental issue as it is a technology issue. There will be controversy and setbacks through the evolution of shale technologies and production projects," Wolff told RT. The shale revolution is still in its infancy stage and along the value chain carries significant strategic, economic and political implications that cannot be ignored.